Peter is originally from Scotland and moved to England with his family for a life by the sea in 1988. Peter played soccer for his High School team and County team where he was scouted by Tottenham Hotspurs FC and signed for them on a schoolboy contract. He then signed for Barnett FC on a YTS contract then ultimately with a Professional Contract. During his time at Barnett, Peter suffered a soccer injury and moved to play semi-pro soccer for Folkstone Invicta FC, Tonbridge Angels FC and St. Leonards FC. In 2002, Peter made the move stateside working with MLS Camps as a player development coach in Dallas. He also worked for Dallas Burn Youth and Andromeda Soccer Club while there. He then coached in Houston for a short period of time before making the move to Austin. Peter was previously the Forza FC Youth Director, and the Youth Director with the Texans prior his move to Lonestar SC. 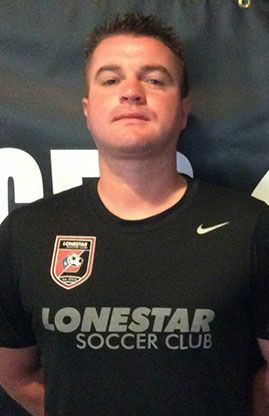 Since 2011, Peter has been a Head Coach at Lonestar Soccer Club.